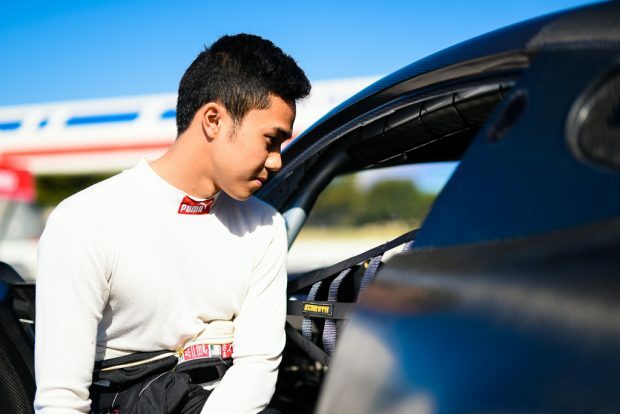 Jazeman Jaafar is off to Spa in Belgium this weekend to compete in the Total 24 Hours of Spa race, one of the blue riband events of sportscar racing. The ultimate challenge, a twice round-the-clock endurance distance, is the jewel in the crown of the Blancpain GT Series and Jazeman will be piloting the #84 HTP Motorsport AMG Mercedes GT3 for this event. A grid of 65 cars will line up for the start of the race on Saturday afternoon, with Jazeman sharing his car with seasoned racers Dominik Baumann and Maxi Buhk, his regular team mates in the Endurance Series. The weekend starts on Wednesday with a Drivers Parade from the circuit to the town of Spa and an all-drivers autograph session in the centre, for the fans. The on track action starts on Thursday afternoon, with qualifying held in dusk and darkness. A ‘Super Pole’ session for the top 20 cars takes place on Friday, with the race warm up session on Saturday morning. It will be Jazeman’s second appearance in this classic endurance race, with the Malaysian having made his debut two years ago when he finished fifth, driving the HTP Motorsport SLS AMG GT3, his first race outing with the German HTP Motorsport team. The 68th running of the Total 24 Hours of Spa promises to be one of the most closely fought GT races of the last decade, with nine different manufacturers represented on the grid. The race will be shown live online at GT World TV Youtube channel and also live in Europe on selected TV stations. Fox Sports Asia will show a highlights package, check local listings for timings.